Safety is something we can all get on board with, and it affects us in more ways than we realize. In our modern day, many of the things we take for granted are mired in strict safety guidelines: driving, food preparation, infrastructure, sports, and much more. One place where safety is often overlooked, due to its low-impact nature, is office safety. Injuries and incidents are often overlooked as normal human wear and tear. For example, carpal tunnel syndrome, back pain, eye strain, etc., are sometimes viewed as an expected part of the living and working process. In this regard, we fail to adopt even the most minimal practical and ergonomic changes required to ensure we remain productive, in good health, safe and free from injury. Clutter and loose wires can lead to falls or items carelessly placed on an upper shelf can fall onto employees, leading to unforeseen injuries which, in turn, lead to increased costs. Poor placement of one’s head relative to the keyboard and screen can lead to stressed joints and poor posture, and improper lifting techniques make employees prey to back injury. 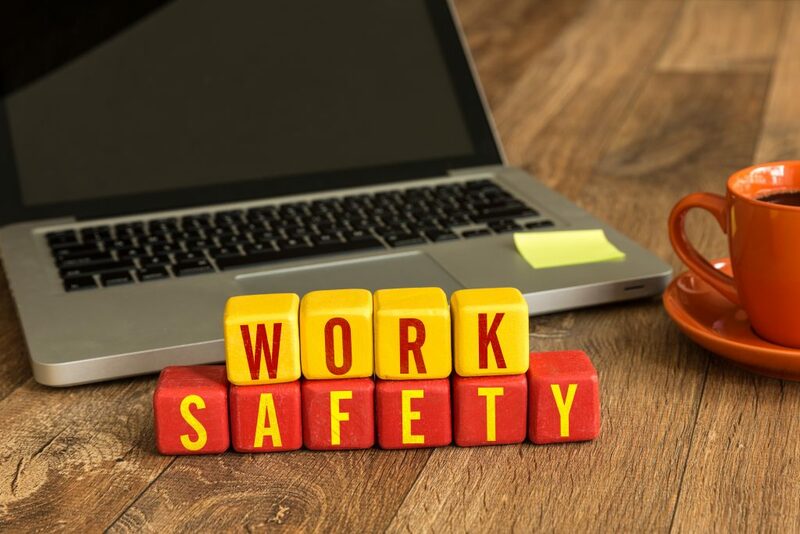 While not nearly as egregious as other workplaces, office safety remains a concern worth addressing. Work areas can become easily cluttered and covered in office supplies. Always keep your desk free of clutter. This will prevent items from falling onto the floors. Secure all electrical and computer cords: loose cords present a tripping hazard. Never leave boxes, papers or other objects in hallways or walkways as this is a main source of tripping incidents. Simple machinery such as paper cutters and document shredders can become a source of serious, disabling accidents when loose-fitting clothing or unguarded points of entry are not monitored and kept in check. Ergonomics in the office environment is another key safety issue. Each year, many office employees take time off for visits to the doctors with complaints of pain and discomfort in the back, legs, arms, eyes and hands. The vast majority of these problems can be negated with proper ergonomic techniques. This can be a very effective safety topic that’s worth repeating during your safety moments. Teaching employees the ideal method for sitting long term while working at a computer or elsewhere will not only help reduce aches and pains, but it will boost their morale. As people’s aches and pains decrease, their moods often become better. Back injuries top the list of reasons for employee absenteeism or medical retirement from a job. Sometimes these injuries are a result of falls (and fractures resulting in nerve damage), but often a cause as simple as using the wrong procedure for lifting heavy objects is at fault. Employees need to be trained to use the L position for Lifting. Improper lifting methods can result in severe muscle strain and debilitating weakness. Often, the victim of such muscle injuries is out of work for weeks at a time and is a frequent visitor of the local chiropractor or doctor’s office. The time and effort spent educating employees and enforcing proper lifting techniques costs far less than even one back injury. Anyone who has ever been in a cast for any length of time has an appreciation for the full use of limbs that many of us take for granted. Some of the simplest daily routines become near-insurmountable chores when there has been even a slight injury to a finger, hand, arm, leg, foot or toes. The full use of the body – especially the eyes – is essential for giving a full day of productive employment. Reduced production or down time results in loss for both the employee and the company. An education involving the proper use of protective equipment for the eyes and limbs is essential for avoiding debilitating accidents. In comparison to work in a manufacturing plant or a hazardous chemical lab, a day at the office may seem rather benign. What many people fail to realize, however, is that injuries resulting from a fall or being struck by a falling object, or something as simple as the improper lifting of a heavy box of paper for the office photocopier have the same end result as an injury in a manufacturing setting: employee down time and escalating costs for the companies. A need for a safe office code of conduct is as crucial as the strictest of regulations in the most demanding and harshest environments.